Protein powder has been very popular among athletes and people who regularly workout. Protein powder is a good pick for a supplement before training and exercising. It can increase your energy levels, help you build muscles, and improve your recovery rate. 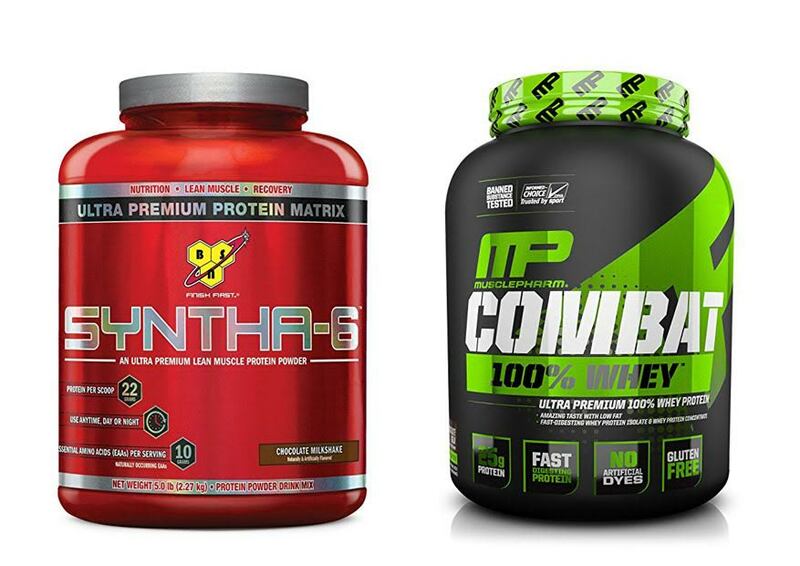 In this article, we are going to discuss about two protein powder products that may have captured your attention: Muscle Pharm Combat and BSN Syntha 6. These two products are available in a similar price range. So, what is the difference between Muscle Pharm Combat and BSN Syntha 6? Both of these two products basically have similar functions. They supplement your body with proteins that are needed to build new cells and body tissue. The supplemented proteins are useful if you want to develop some muscles. In addition, their formulas can also give you more energy to work out more effectively, while improving your recovery rate so that you will be able to resume your activities more quickly. However, BSN Syntha 6 can give more nutrients to your body, as it has been enriched with essential amino acids and fiber. You see, amino acids are also essential nutrients that our body needs in order to function properly. The fiber content aids the digestion process and is good for the health of the gastrointestinal tract. Now, we will see the ingredients of both products. We can see that in each serving, BSN Syntha 6 contains 22 grams of protein, 5 grams of fiber, and 10 grams of essential amino acids. There are also calcium, phosphorus, sodium, and potassium contents. One thing that you should remember is that BSN Syntha 6 contains gluten and soy. So, if you are allergic to either, you should stay away from this product. On the other hand, Muscle Pharm Combat contains 25 grams of protein. It does not come with additional amino acids, but there are calcium, iron, sodium, potassium, and some dietary fiber. Muscle Pharm Combat is gluten-free. Muscle Pharm Combat is only available in five flavor choices, which are cappuccino, chocolate milk, cookies ‘n cream, strawberry, and vanilla. BSN Syntha 6 has some more options available, including banana, cinnamon bun, chocolate peanut butter, and chocolate cake batter. BSN Syntha 6 seems nice because of the amino acids content and flavors. However, the gluten content can be an issue to some people. If you are sensitive to gluten or simply don’t want to consume gluten, then Muscle Pharm Combat should be the way to go.